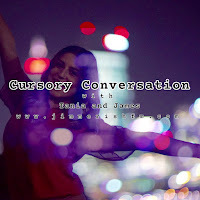 In this week's Cursory Conversation, Tania and James hide inside from the rain. Tania discusses putting on a theatre show, James heads to Revelation Film Festival and contemplates some controversial, provocative street performance art. Is each year shorter than the last?